Home heating systems can be functional as well as decorative. For those looking to ditch their screen habits, it makes a gorgeous living room alternative to your TV, which can be shifted to a designated TV room. That way, your entertainment nights will involve actual conversation around the fire … but only if you leave your phones in the (secure) basket near the door. Start by deciding whether you want something portable or stationary. Bromic offers a portable tungsten heater with a futuristic design. It’s a modular heater, which means you have to assemble it to use it. Its unique wavy shape is intended for outdoor use, but it can work indoors, as long as you have high ceilings and good ventilation. 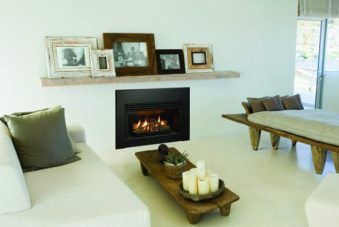 While shopping for a gas heater in Sydney, you might consider the Nectre Freestanding Gas log fireplace. It has an old-school pot-belly design but without all the curves. It’s right angles, defined lines, and matte finish make it the ideal addition to a more traditional kitchen. Although it’s gas-powered, it’s loaded with artificial logs and burns like a conventional wood fireplace. It’s a mid-furnace, covering a heating space of 90m2. The Nectre has a cast iron door and steel body. This body is solid metal, not slim sheets, and the door is double-glazed. This eliminates the need for safety mesh and offers unfettered views of the fire. The fireplace has a clean, minimalist look because all its widgets and buttons are hidden behind a drop-down door with a cute chrome knob. 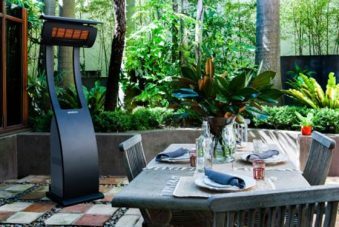 It’s a freestanding fireplace, and you can buy a flue kit separately if you need it. Inbuilt fireplaces are the best option for smaller rooms. They fit flush against the wall, so they maintain your floor space without disrupting your layout. You might have to shift around some furniture though, to remove any fire hazards. It also helps to migrate large pieces (like bookshelves) that could disrupt heat flow. Opt for the Heatmaster Enviro if going green is a priority. With its 250m2 reach, it works well for open plan homes and has won awards for its energy efficiency and low emissions. It has artificial logs, coals, or pebbles on its fire-bed, offering a beautiful, realistic burn. 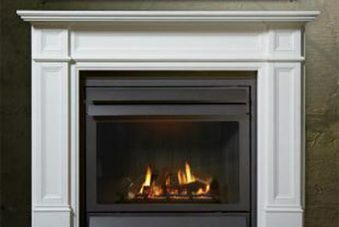 You can install it with a freestanding case or a tailored mantel fascia, and it has its thermostat. Alternatively, buy a Heatmaster Seamless. Its elongated design looks best in large rooms; otherwise, it may seem crowded. You can work it by remote and link it to WiFi, so it’s every bit as modern as it looks. It only runs on natural gas, but you can stare for hours at the faux Australian Coast driftwood logs, burning perpetually behind the double-glazed window. For gas heating options that will beautify your building, call Hawkesbury Heating today on (02) 4571 2295.